Cheering for Tyler Hill sports teams is no longer an activity reserved just for summertime! 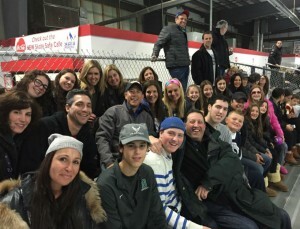 This past weekend at Long Island’s Skate Safe in Bethpage, Tyler Hill fans were out in full force to cheer on our seventh grade hockey team at the Second Annual Winter Camp Cup Hockey Tournament. And the spirit and excitement paid off – this amazing group of boys won the entire two-day tournament! Led by coaches Lee Kupersmith and Zach Rovinsky, players Hayden Rejwan, Jordan Kupersmith, Michael Rovinsky, Zach Blick, Dylan Moreida and Jack Ecksel showed strength, speed, agility, skill and STARFISH on the rink, game after game for two days straight. Among the other teams entered in the tournament were Timber Lake Camp, Brant Lake, Lokanda, Equinunk, Starlight. 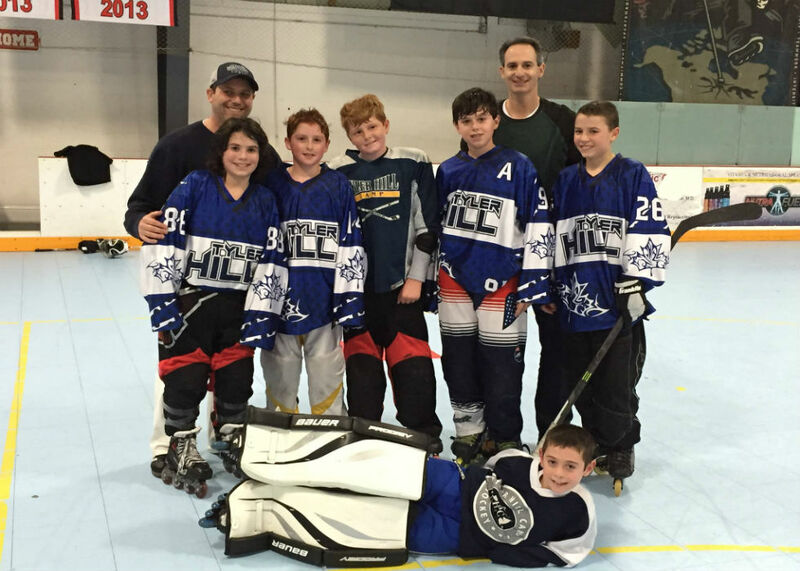 In addition to our seventh grade winning team, an incredible group of alumni came from near and far to represent Tyler Hill in the 2015 Camp Cup alumni tournament. 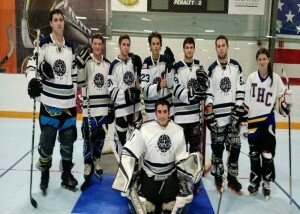 Eric Lebedin, Spencer Schneider, Abie Lieder, Harrison Roth, Jordy Naidrich, Aaron Kellner, Jordan Cohen, Zach Rosen. And, of course THCs #1 fan was on hand – Eric Roth!! It was fun to reconnect and watch this crew of former campers sport their old Gordon Cup jerseys and play their hearts out. It was a weekend to remember and we’re already excited for January of 2016 so we can do it all again! Congratulations to all of the players and fans. We’ll make sure you all get to see the trophy when you get to camp in June! Did we mention we can’t wait?! !